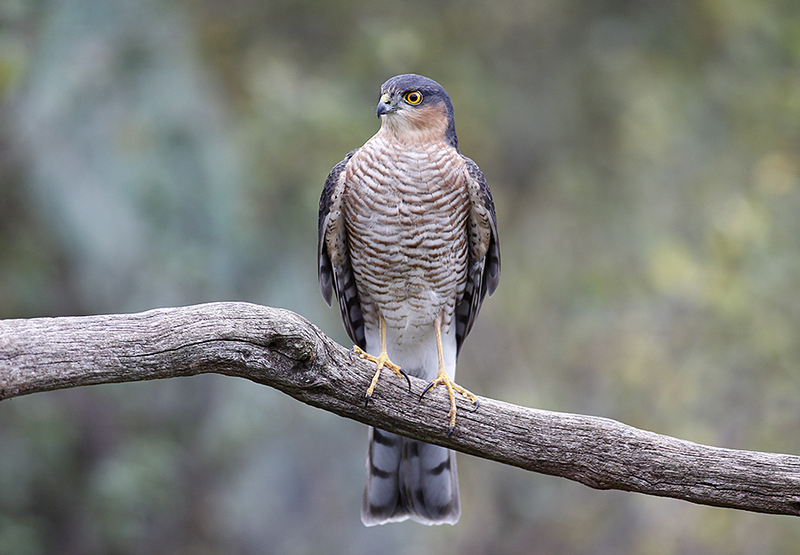 I seem to be doing well with Sparrowhawk this year. This male comes to my feeder several times a day. Occasionally he lands for a moment before taking off again. Buzzards are landing 50 meters away too and feeding on the road kill I keep putting out, but I need to put up another hide closer and let them become accustomed to it. Canon EOS 1dx. 400mm f5.6 lens. 1600 iso. 1/320th at f5.6. Posted on November 6, 2014, in Uncategorized. Bookmark the permalink. 1 Comment. Mike this is brilliant . Tim Everett suggested we look at your site as at the moment we are stuck while my wife’s arm mends .